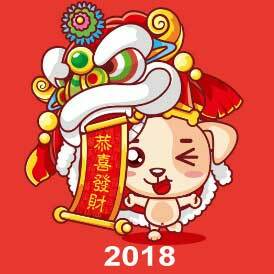 Chinese New Year and AliExpress 2018. This year it lasts Feb. 16 through 21, but celebrations will jam up production for most of the month of February. 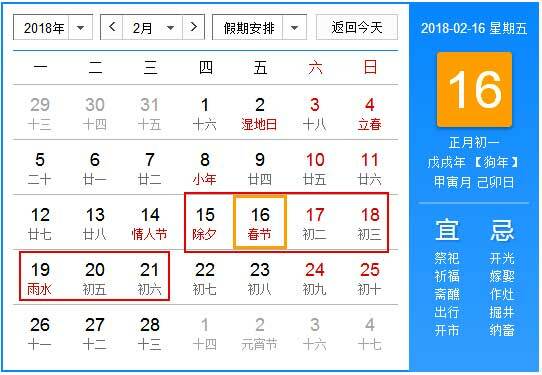 As an official public holiday, Chinese people can get seven days’ absence from work, from February 15th to 21st. The Chinese traditional Spring Festival is coming. Our New Year Holidays will start from Feb 11st to Feb 21st , we will back on Feb 22nd. So, all the orders from Feb 11st to Feb 21st, we will send out on Feb 22nd. In China, business around the Chinese New Year is out of season and, therefore, the price for steel would be unpredictable.